The natural Himalayan crystal salt lamp with wood base, bulb plus a switch helps create negative ions when switched on. These negative ions help to purify the surrounding air, somewhat like the function of an ionizer. It clears the air of allergens such as smoke, pet dander, pollens, and other air pollutants in a natural way. On top of that, it also dilutes the odor in the air. This is great for those with asthma. 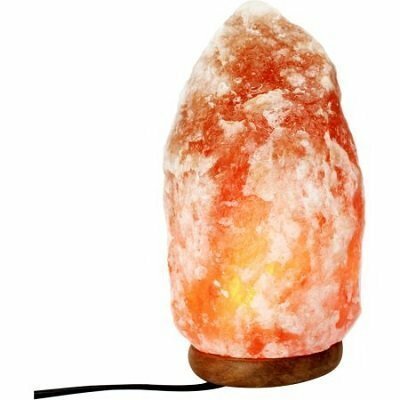 If you are looking for housewarming gift ideas that will give the new home owner a calming, soothing and therapeutic experience besides being decorative, then this crystal salt lamp would be most ideal. 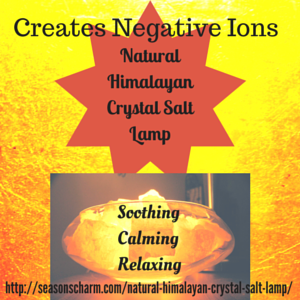 Made from grade A salt crystals, the salt when heated by the lamp will release negative ions which purify the air. The lamp itself emits an amber color light which create a soothing and calming ambiance. The handcrafted salt lamp sits on a neem wood base and comes fitted with one 65″ electric power cord and a 25W bulb (Bulb is not included). It comes with a dimmer switch. It stands at a height of about 7.5″ and has a 4.25″ width. A gift that helps cleanse the air of allergens, you can take advantage of the negative ions from the salt lamp to improve the indoor air. The decorative Himalayan crystal salt lamp is also very pleasing aesthetically. When illuminated with a warm glow, it looks really beautiful, soothing and calming. The natural Himalayan crystal salt lamp makes a wonderful housewarming gift as it is not only a decorative item but also comes with some health benefits too. 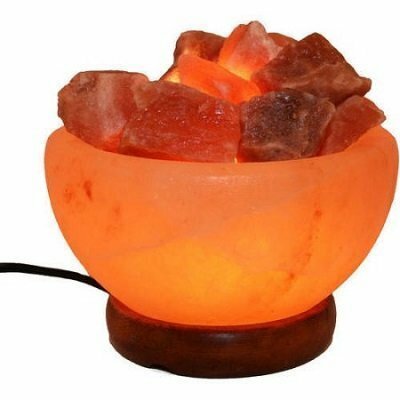 Besides the Himalayan crystal salt lamp, the Himalayan Salt Lamp Fire Bowl with Loose Natural Rocks is another wonderful gift that has healing benefits too. Made from natural Himalayan salt crystals, the 4.5″ diameter fire rock bowl sits on a natural round polished wooden base. It measures 4.5″ L x 4.5″ W x 4.5″ H.
Giving out a warm and soothing glow, it will surely warm the heart of your recipient. You can easily move it from one room to another.